RedmineUP has just published a new premium plugin called “Zen Edit”. This plugin allows you to comfortably edit your most complex tasks and create user mentions. In this entry I go more into details with the benefits of this plugin. 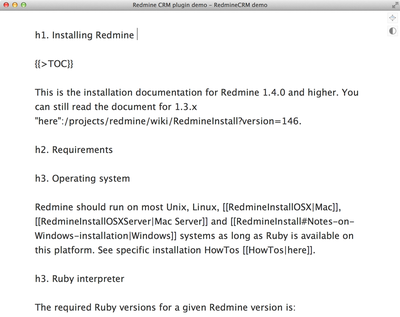 RedmineUP plugins are well known in the Redmine community due to their functionality, solidity and technical support. This company (probably the oldest company in the Redmine environment) is continuously testing the needs of Redmine users to improve its functionalities through plugins. 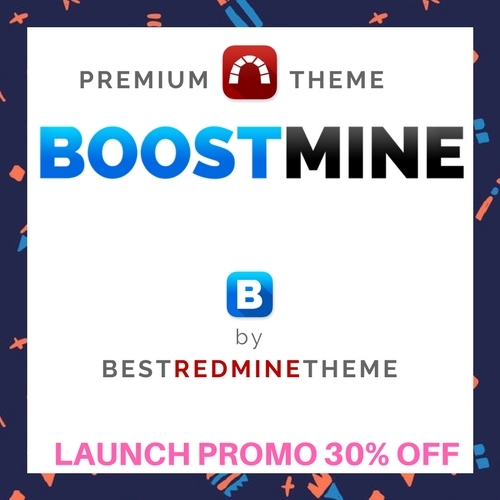 RedmineUP currently has a catalogue with 14 plugins. Each of them has a free version and, in some cases, also a paid premium version. The Zen Edit plugin, which already existed some time ago, has now received this premium version, the characteristics of which are described below. As you know, in Redmine tasks have a “Preview” mode to see how it will look once published, but it does not have the possibility of creating a draft for later editing. This is really cumbersome when we are creating a task with a lot of text, which forces us to a long wording. With Zen Edit, you can now create drafts for tasks and for task notes. The task that is being edited or created is saved in a draft every 30 seconds, so you no longer have to stress about losing everything written if in the middle of creating a task you receive a call or have to attend to something urgent. Twitter brought us the “mentions” to other users and when you use them, you can no longer live without them 😉 Now ZenEdit allows you to notify your colleagues using mentions. The mentions can be generated in the descriptions and task notes. Just type in an “@” and the names of the project members will appear in a list. By selecting one of the members and creating or editing the task, the mentioned user will receive a notification. Very useful! This plugin helps you not to be distracted by anything while you’re working on your tasks. You have a “full screen” button that converts the text editing field into an area that covers the entire screen. All you’ll see is the text field, the layout bar, and a larger-than-average text font for easy reading.